Microsoft regrets any inconvenience caused by this issue,” the company says. 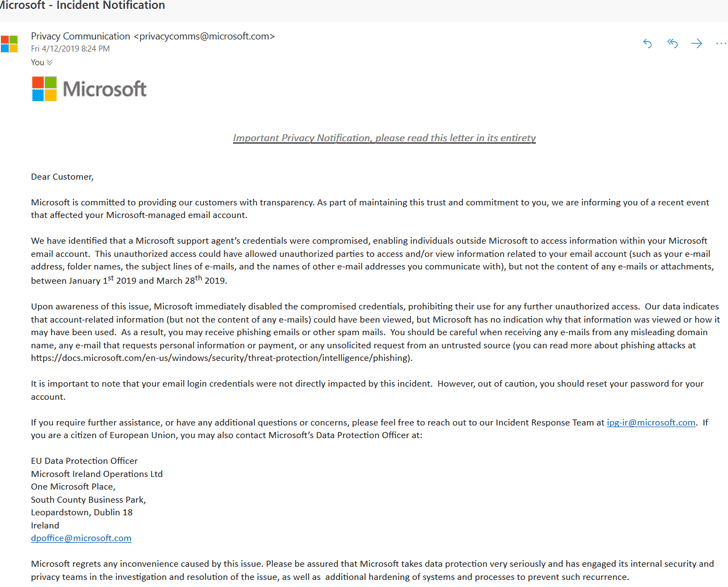 “Please be assured that Microsoft takes data protection very seriously and has engaged its internal security and privacy teams in the investigation and resolution of the issue, as well as. additional hardening of systems and processes to prevent such recurrence.